Bring me no more reports; let them fly all. Humans’ futures. The witches know what’s going to happen. Death. The outcome (consequence) of being mortal is to die. The witches know how and when Macbeth will die. Don’t bring me any more reports. Let all my men run away. Until Birnam Wood comes to the castle, I don’t have anything to be afraid of. Who cares about Malcolm? Didn’t a woman give birth to him? 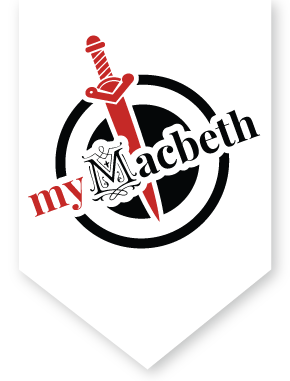 The spirits who know the future told me this: “Don’t be afraid, Macbeth. No man who was born from a woman shall ever be able to defeat you.” So run away, you disloyal lords, run away to the effiminate Englishmen! My mind and heart are forever free from doubt and fear. Go burn in hell, you cream-faced idiot! Why do you look like a frightened goose? The devil damn thee black, thou cream-faced loon. Pinch your face red so you don’t look so pale, cowardly boy. What soldiers, idiot? Damn you – your white face spreads fear. What soldiers, milk-face? Will cheer me ever, or dis-seat me now. This metaphor uses autumnal imagery to address Macbeth’s situation. As Macbeth has reached middle age, his life has dried up, like a leaf turning yellow in the autumn. Furthermore, because of his actions, he can’t enjoy any of the fruits of old age—honor, love etc. Get your stupid face out of here. Seyton! – my heart’s sick when I look at – Seyton, I say! — This battle will make me happy forever or destroy me right now. I’ve lived long enough. My life has dryed up, like a leaf in autumn. The things that should come with old age — respect, love, obedience, and groups of friends – I’ll never have. Instead, I have curses — not loud ones but deeply felt — and lip service — A life that my heart would gladly bring to an end, but I don’t have the courage. Seyton! All is confirmed, my lord, which was reported. I'll fight till, from my bones, my flesh be hacked. What would you like, your grace? Everything they reported was confirmed, my lord. I'll fight until they hack the flesh from my bones. Give me my armor. You don’t need it yet. I'll put it on. Send out more riders to scour the country. Hang anyone who speaks of fear. Give me my armor. How is your patient, doctor? She’s not really sick, my lord, just troubled by frequent delusions that keep her from sleeping. Cure her of that. Can’t you treat a diseased mind, pluck the sorrows from out of her memory, and erase the troubles in her brain? Can’t you administer an antidote to the poisons in her heart? Those are things only the patient can do for herself. Throw medicine to the dogs! I don’t need it – Come here and help me put my armor on. Give me my staff. - Seyton, send out the riders. Doctor, the lords are running away from me. - Come, sir, hurry up - Doctor, if you could look at my country’s urine to figure out her disease and then cure her, I would applaud you to the end of the earth, where the applause would echo back and you’d hear it again - Hey, pull it off - If only some rhubarb, senna, or some other purgative drug could drive the English out! Have you heard they’ve invaded? Yes, my good lord, I figured as much from your war preparations. Follow me with my armor. I will not be afraid of death or destruction until Birnam forest comes to Dunsinane castle. [Aside] If only I were far away from this castle, no amount of money could ever get me to come back. Profit, again, should hardly draw me here.